It is still exciting news. My first novel is published on Amazon Kindle throughout the world. It is also available in paperback through Amazon in the UK and USA. 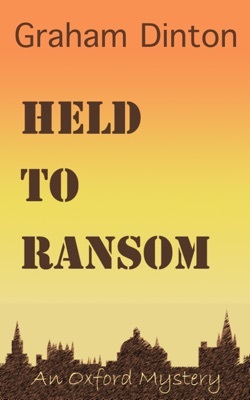 My novel is called Held to Ransom. In the multi-ethnic East Oxford community, tensions are brewing as anti-immigration feeling mounts. Up-and-coming journalist Emma Hawkins is using her column inches to fight for tolerance, but her passion puts her at odds with her older, outspoken boss Jamie… who’s more than a little irresistible to her. When a local newsagent with an intriguing past is violently abducted and the finger points at Romanian gangs, Emma is plunged into an investigation that could be the biggest story of her career – but is the ransom demand all it seems? And what dark secret is Jamie hiding? Click to go to Kindle Store. Please subscribe to my newsletter to receive a preview of the opening scene of Emma's next adventure and future updates from me. You'll receive a link to the preview for you to download (pdf).